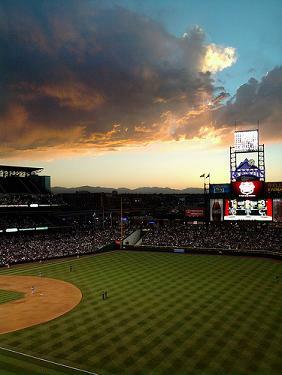 Coors Field is the stadium that the Colorado Rockies consider home. 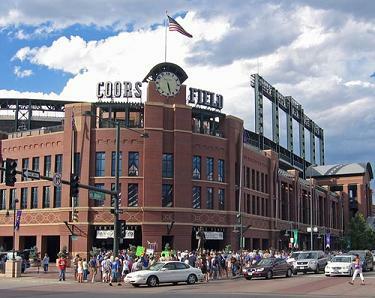 It derives its name from the "Coors Brewing Company", which bought the naming rights before it was completed in 1995. The Rockies spent the first two seasons at Mile High Stadium in 1993 and 1994 before moving to their new home, which is located two blocks from the lower downtown area of Denver. This stadium includes 4,526 club seats and 63 luxury suites with a total seating capacity of 50,445. Add standing room and the total capacity overall is 51,267. There are tours held for those interested during the season as well as the off season. This gives people a special look behind the scenes. Each tour lasts about 80 minutes and is suitable for people with disabilities. During the construction of the Colorado Rockies' ballpark, workers found dinosaur fossils. One of the fossils was an actual skull of a Triceratops. This led to the Rockies having a dinosaur for a mascot named Dinger. In 1985, the National League decided to add two more franchises. 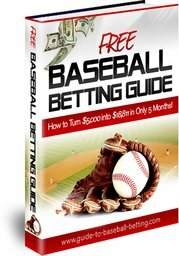 To be considered for a team, MLB’s only criterion was that the city have a Major League Baseball stadium. So in 1989, Denver formed an organization with the purpose of constructing a stadium. Voters approved the tax money needed to fund the project in August of 1990. This was enough to show the National League that Denver was serious and MLB awarded them one of the two franchises. Miami got the other one in June of 1991. 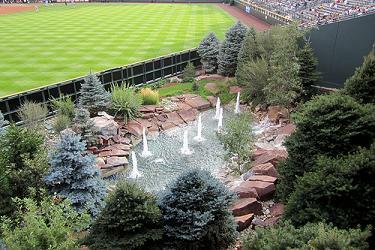 The Colorado Rockies chose the location of Blake and 20th Street and commenced construction of their new home on October 16, 1992. The plans originally called for only 43,000 in seating capacity, but because of the popularity of the team at Mile High Stadium, the seating was expanded to 50,445. Coors field is the first of the major-league ballparks to have an underground heating system. Constructed out of steel and brick, the stadium has a nostalgic feeling of the old days in its design with up-to-date technology blended throughout. The brick helped to blend the stadium with the downtown area and not upstage it. Due to the high altitude and low air density, the architects made the outfield larger in an attempt to minimize the number of home runs. However, even with the vast outfield, Coors Field still gave up more home runs, doubles and triples than any other stadium. This led to Coors Field’s reputation as a hitting-friendly park. It actually has the nickname of Coors Canaveral, with those who have felt the wrath of this hitting record. Coors Canaveral has broken the major-league record for the number of home runs in one season twice. The record used to be held by Wrigley Field in Los Angeles during the 1961 season. Coors broke that record in 1996 with 271 home runs and again in 1999 with 303 home runs. After conducting studies on how to make it less of a hitter’s park, experts determined that the dry air contributed more to ball flight than the altitude. Therefore, they installed a humidifier to keep the moisture levels constant. Although it remains the number one hitting park in MLB, the humidifier decreased the rate of home runs to a level more in line with other ballparks. The field is made of natural grass and contains some modern features. It can drain off 5 inches of water in an hour. The underground heating system, mentioned already, helps to prevent the accumulation of snow. Aside from these innovations the fans can visit the concession stands without losing a view of the baseball field. The field dimensions of Coors Field are 347 feet to left field, 415 feet to center field, 350 feet to right field, and 56 feet to the backstop.